Upgrades throughout the property & fully renovated to A high standard.. Ground floor comprising of brand new modern fitted kitchen with side door access, lounge/dining room with French doors leading to rear garden. 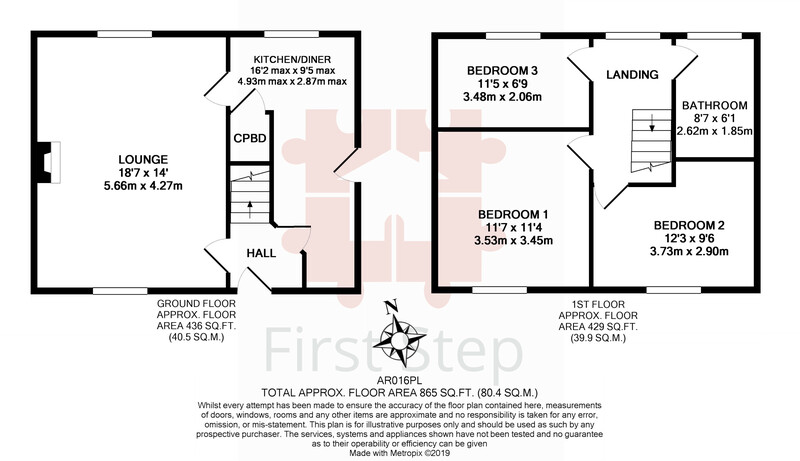 On the first floor there are 3 good sized bedrooms & brand new fitted bathroom. Externally is a private rear garden with beautiful paddock views. Garage with driveway parking for 3 vehicles. 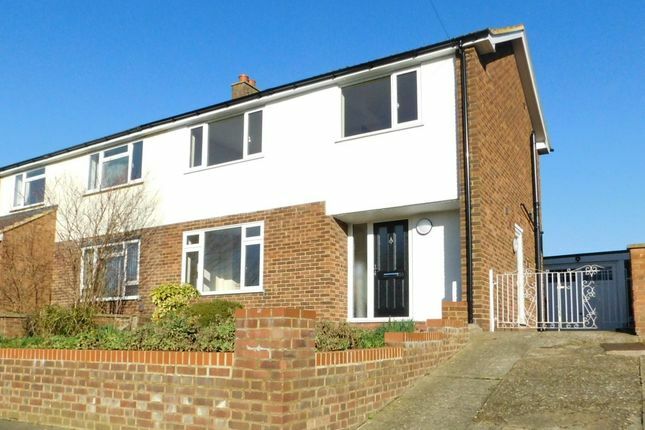 Ground floor The property has undergone a full/extensive renovation which includes: New UPVC double glazed windows/patio door, New full replacement soffits, fascias and guttering. New oak doors throughout, Complete new kitchen, Complete new bathroom. 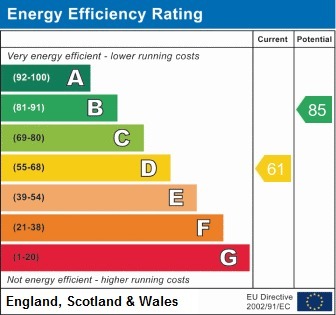 Complete new heating system inc boiler (certificated). Extensive rewiring (certificated). New carpets/Karndean vinyl flooring throughout. Entrance hallway: Composite front door with sidelight. Karndean tile effect vinyl flooring, ceiling light, mains smoke detector. BT point. Twin socket. Stairs leading to first floor and doors leading into Lounge & Kitchen. Kitchen/breakfast room: Double glazed window to rear aspect & fully privacy glazed door to side aspect. Modern white acrylic high gloss wall units and drawer line /full drawer base units with complementary work surface. Breakfast shelf. Space for upright fridge freezer, space & plumbing for freestanding washing machine & dishwasher. Built-in Bosch oven and induction hob. Retractable extractor hood. White ceramic 1½ bowl sink, Full height door to under stair shelved storage cupboard. Continuation of Kardean tile effect vinyl flooring. Two ceiling lights & 2 spot lights. 5 x twin sockets (inc 2 x twin usb). landing: Double glazed window to landing rear aspect. Oak/glass balustrade, matching oak stair handrail. Carpet, ceiling light. Mains smoke detector. Loft access (with loft ladder). Doors leading to bedrooms & bathroom. bedroom 1: 11' 7" x 11' 4" (3.53m x 3.45m) Double glazed window to front aspect. Carpet, ceiling light, radiator, 4 x twin sockets (inc 2 x twin usb). Bedroom 2: 12' 3" x 9' 6" (3.73m x 2.9m) Double glazed window to front aspect. Carpet, ceiling light, radiator. 2 x twin sockets (inc 1 x twin usb). Bedroom 3: 11' 5" x 6' 9" (3.48m x 2.06m) Double glazed window to rear aspect. Carpet, ceiling light, radiator, 2 x twin sockets (inc 1 x twin usb). Bathroom: Double glazed privacy window to rear aspect. Half tiled walls, Newly fitted white bathroom suite comprising of: Panelled bath fitted with hand held mixer shower tap. Pedestal wash hand basin & wc. Separate fully tiled double shower cubicle, fitted with wall mounted shower & glass door. Karndean vinyl flooring, white heated towel rail, ceiling lights, extractor fan, wall mounted mirror with LED lighting. front garden: Low level wall perimeter with lawn area. Driveway leading to from door with small open porch area. Rear garden: Private rear garden laid mainly to lawn. Paved pathway leading to driveway & personal door leading to garage. Fenced perimeter with beautiful paddock views. Garage & parking: Driveway parking for 3 vehicles with double gates leading to garage. Single garage with new up & over door and newly fitted garage roof (timber joists, roof covering, fascias, guttering). Garage includes light & power. local area: The property is situated in the heart of Arlesey which benefits from the lovely open countryside close by with excellent cycle routes, whilst also being only a few minutes from the A1(M). Arlesey also benefits from a train service with fast trains to London's Kings Cross & London St Pancras (circa 35-45 mins). The property is only minutes walk to the local library, pharmacy, excellent takeaway restaurants and Fish & Chip shop, the local lower school and several local pubs.